"Cosmic Shadow" Performance with Jimi Durso. A collaborative performance with musician Jimi Durso at my art opening / Art Soiree on Friday, January 12th, 2018 at Sip This in Valley Stream, NY. 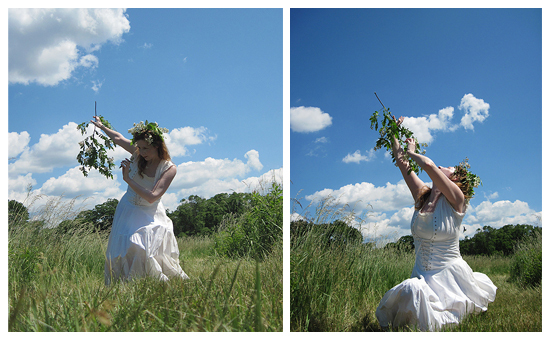 I danced in costume while Jimi played the most gorgeously ethereal music for my dance. We both improvised. My favorite part was when he put down his guitar and danced with me. Thanks to Jimi. Thanks to all who attended. Thanks to Darren Borkel of Outrlimits Art Studio for the video (higher quality original is on FB). This photo was taken by Danielle Davis at the Muse Collective where I was invited to be the feature performer at the Bay Shore Bean in October, 2017. 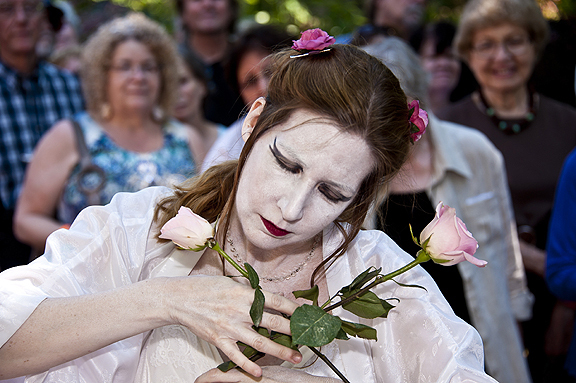 From the butoh performance "Night Prayer"
From a performance at the Cinema Arts Centre in Huntington, NY, July 2011. Photo from a Tango-Butoh performance between myself and Argentine Tango dancer Con Artist at Webster Hall in New York City, NY on August 21st, 2011. September 11, 2011 - a 10th anniversary memorial walk through Huntington Village, NY, which ended at the 9-11 Memorial in Heckscher Park. Photograph by Con Artist. 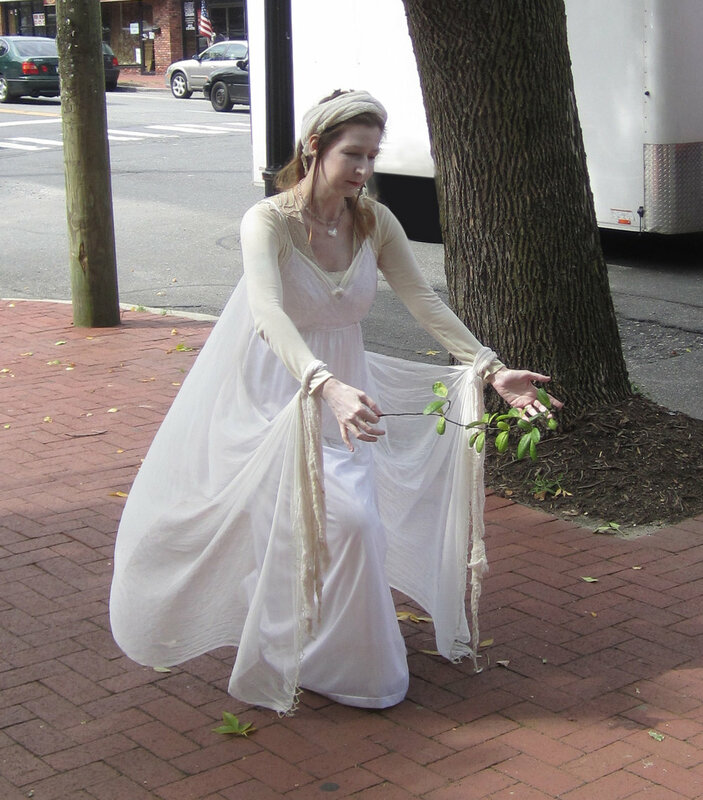 A 2010 interview with artist, butoh dancer and shamanic practitioner Robyn Bellospirito about her butoh dance. Very special thanks to William Klenk for the idea, for conducting the interview, and for taking the photograph at the beginning of this video. Photograph by William Klenk, 2010. 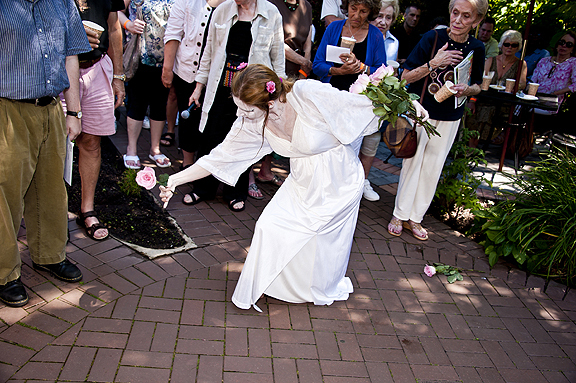 Butoh performance with dance partner William Kruhmin at Cornucopia's Noshery in Amityville, NY in 2011.